Hungry? 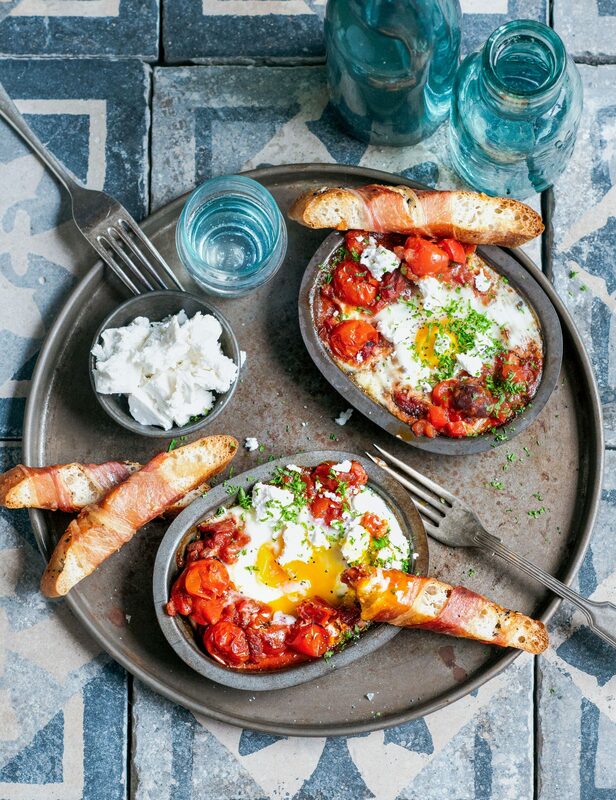 Can I make a suggestion for Sunday morning brunch (or easy dinner even) – eggs baked in a warming, spicy tomato sauce, rich and fragrant with the addition of salty feta and olives. To finish off the turkish toast fingers wrapped in crispy prosciutto made for dipping into the soft yellow yolks are bloody magic – frankly they’d make a great drinks nibble on a Sunday afternoon! 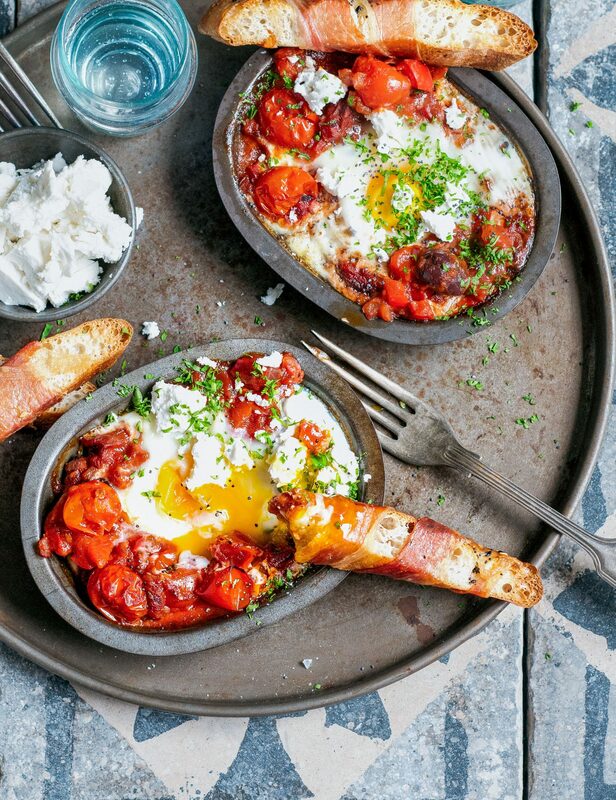 This recipe is part of a ‘mediterranean brunch’ spread that I put together for my lovely friends at Dish magazine a while back, and it’s definitely a keeper – so easy to make and packed with flavour! Wrap each slice of bread in a strip of prosciutto and place on an oven tray. Pop in the oven at the same time as the eggs and cook 8-10 minutes until crispy and golden.